Does saving a life always mean preserving it, or does it sometimes mean letting go? When Gail Gilmore’s beloved dog Chispa is diagnosed with Canine Cognitive Dysfunction, her first instinct is to fight for Chispa’s life; to do everything possible to bring the symptoms of this neurologically debilitating condition under control. But treatments fail, and Chispa’s symptoms worsen. Faced with many emotionally complicated questions and difficult ethical decisions, Gail repeatedly visits the one place where she believes she might find the spiritual guidance and wisdom needed to make the best choice for Chispa—a tiny, extraordinary church in St. Johnsbury, Vermont called the Dog Chapel. 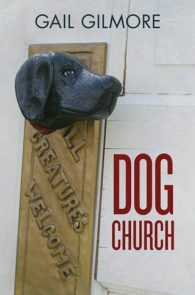 Within the simple beauty of the chapel, its walls deeply layered with overlapping photographs and anonymous notes from thousands of previous visitors to dogs loved and lost, Gail seeks and eventually finds both answers and peace in the wise and loving words of the unknown people she comes to consider her tribe. 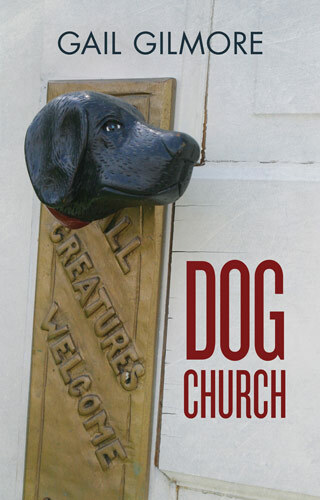 A story of unconditional love and devotion, Dog Church is also a story of finding comfort in faith and the ways in which the emotional threads of love and grief can bind complete strangers together for brief moments in time in ways that are ultimately life-changing.